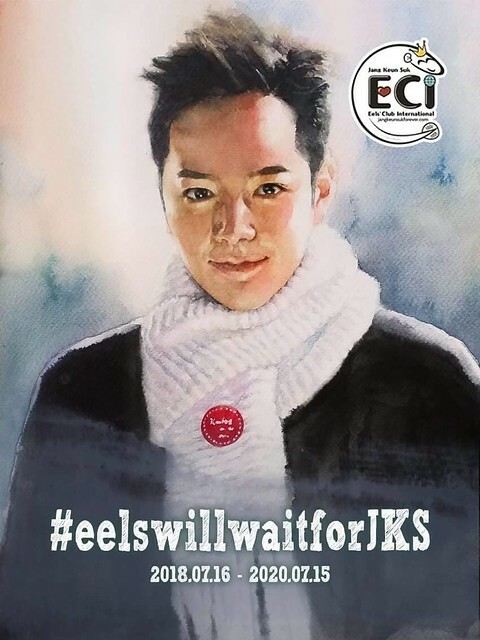 Thank you again Eve Yap for this beautiful piece of work, and allowing us to use it as eels come together to send our Suk to MS and our promises to him that we will wait for him. Join us on all social media platforms on 15 July at midnight KST and run until 16 July midnight KST to send our wishes and promises to him. Please use hashag #eelswillwaitforJKS when you tweet or post. Feel free to use this picture in your support messages to him via tweets/IG etc.